Have you been injured on a construction site and want to hold your construction company liable for the accident? Get a free consultation from our San Diego construction accident attorney from Simpson Law Group to determine liability in your particular situation. Many things could go wrong on or near a construction site. After all, there are lots of heavy equipment, electrified wires, flying particles, sharp objects, and machines. According to U.S. statistics in the field of construction, one in ten construction workers are injured every year. One of the reasons why being a construction worker is still such a risky job is because many construction companies fail to comply with safety regulations and do not do enough to increase on-site safety. Today, we decided to help them out a little bit. We invited our San Diego construction accident attorney from Simpson Law Group to outline some of the best ways construction companies can improve on-site safety and reduce the risk of construction accidents and on-the-job injuries. So if you are a construction worker in California, be sure to show it to your employer or supervisor. Some construction companies in California tend to skimp on equipping their workers with the latest gear and work clothes. This is a huge mistake, as failure to provide construction workers with the latest gear (such as a durable helmet, vest, high-performance work boots, and other protective equipment and clothes) amounts to failure to maintain adequate safety on the part of the construction company. Fact: Did you know that manufacturers of construction gear make work boots that prevent penetration through the sole? Or did you know that many construction companies that care about their on-site safety equip their construction workers with smart helmets that feature augmented reality to warn the worker of potential hazards? Many construction companies have gone crazy with drones, and so should your employer. Investing in a drone can increase safety on the construction site, as it helps with mapping and data analysis. Also, drones help survey and monitor the construction work. Using a drone is also advisable for supervisors who can monitor if workers comply with safety regulations and standards (we all know that supervisors on construction sites are often too lazy to conduct in-person inspections, and lack of inspection, in turn, is one of the most common causes of construction accidents in the U.S.). Our experienced construction accident attorney in San Diego cannot stress enough how important it is for a construction company to be compliant with the latest safety regulations. Did you know that last year, the Occupational Safety and Health Administration (OSHA) released the latest version of safety regulations for the construction industry? For example, since falls are one of the most common causes of construction injury in the United State, the latest regulations by the OSHA set a safe distance of six feet for workers on an unprotected roof edge (before these regulations, there had been no set safe distance). 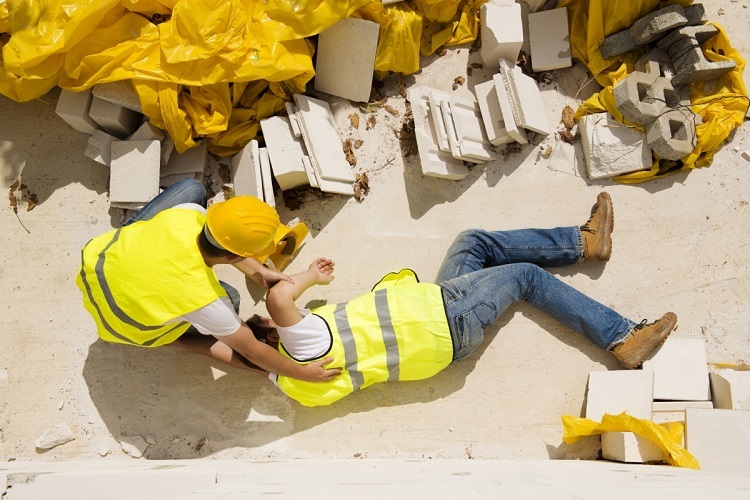 You may be surprised to hear that many construction companies in California do not provide their workers with an adequate first aid kit, and some do not have any first aid kit whatsoever. In California, construction companies are legally required to have a minimal first aid kit containing medications and basic supplies to help workers in the event of an injury. But a construction company can do much better than providing “a minimal first aid kit,” considering that construction workers have the most dangerous job in the United States. If a company truly cares about the safety of its workers, it should consult with a qualified medical professional to find out which drugs and basic supplies must be inside the first aid kit at all times. Have you been injured on a construction site and want to hold your construction company liable for the accident? Get a free consultation from our San Diego construction accident attorney from Simpson Law Group to determine liability in your particular situation. Call our offices at 619-236-9696.